EADS is a global leader inaerospace , defence and related services. in 2005, EADS generated revenues of € 34.2 billion and employed a workforce of about 113,000. The EADS group includes the aircraft manufacturer Airbus, the world's helicopter supplier Eurocopter and the joint venture, MBDA, the international leader in missle systems. EADS is the major partner in the eurofighter consortium, is the prime contractor for the ariane launcher, develops the A400M military transportaircraft and is the largest industrial partnerfor the european satellite navigation system Galileo. The associate labratory CICECO was created on March 2002 in the university of Aveiro (UAVR), Portugal, with the mission of developing the scientific and technological knowledge necessary for the innovative production and transformation of ceramics and composite materials. Its main areas of expertise are: advanced micro- and nano-structured materials for communications technologies; advanced materials for industrial applications; chemistry and technology of polymeric and lignocellulosic materials and biomaterials. SINTEF is the largest independent research organisation in Scandinavia. It has high competence in materials technology, applied chemistry and biology at the Institute of Materials and Chemistry to be able to solve major european challenges contributing to SINTEF's vision of a technology for a better society.Developing advanced materials, products and generating new tools in a wide range of applications of nanotechnology. Max Planck institute für Kolloid und Grenzflächen Forschung was found in 1992 and now has about 280 co-workers. The institute is devided onto 4 departments: Interfaces, Colloids, Theory and Biomaterials. MPI-KGF is a leading institute in Europe in studying colloidal and interfacial phenomena, encapsulation and release of the active materials from containers of various types and well equipped with modern instruments and devices. The department of Interfaces headed by Prof. Dr. Helmut Möhwald is chosen as a participant for executing MUST. 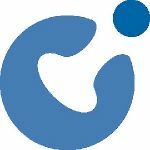 The chair for Technical and Macromolecular Chemistry at the University of Paderborn was established in December 2006 under the guidance of Prof. Guido Grundmeier. Based on the contents of research developed in his group at the MPI for Eisenforschung in Düsseldorf since 2001, the focus of the new research group is on interfacial processes, interface chemistry and interfacial forces as essential aspects of the synthesis and properties of functional composite or layerded materials. The mission is to develope in-situ spectroscopic, microscopic and electrochemical techniques for the analysis of interfacial structures. Mankiewicz Gebr. & Co. is a manufacturer of high-quality coating, operating worldwide. Investments in the areas of research and development as well as modern production facilities are the basic for the successful business development. more than 700 staff members are occupied with the realization of "Coating Concepts of the Future" to ensure the long-term preservation of utility and capital goods. Mankiewicz main business areas are aviation, automotive, rotor blade and yacht coatings. Within the Bayer Group, Bayer Technology Services (BTS) is one out of three service companies, which perform central service functions. These services are available primarily to other units of the Bayer Group, but also to external customers. BTS is the ideal partner for delivering technical solutions and services along the whole life-cycle of processes, plants and products. Some of BTS main activities are Health Care, Crop Science, Material Science,Polymers and Chemicals. The National Center of Scientific Research "DEMOKRITOS" is a self-administered governmental legal entity, under the supervision of the General Secretariat of Research and Technology (G.S.R.T) of the Ministry of Development. Nowadays, it consists of eight administratively independent institutes. The Sol-Gel labratory for Glass, Ceramics and Metals belongs to the institute of Material Science and was established in 1992funded by Greek Government and Europian Union. Today this labratory is the most reputable labratory in Greece for basic scientific technological developmentyielding to the Greek Universities more than eleven professors. 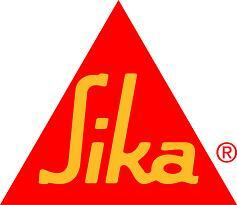 Sika AG, located in Baar, Switzerland, is globally active company supplying the specialty chemicals markets. It is a leader in processing materials used in sealing, bonding, damping, reinforcing and protecting load-bearing structures in construction (building and infrastructure construction) and in industry (vehicle, building component and equipment production). Sika's product lines feature high-quality concrete admixtures, specialty mortars, sealants and adhesives, damping and reinforcing materials, structural strengthening systems, industrial flooring and membranes. Subsidiaries in more than 70 countries worldwide and approximately 11,000 employees link customers directly to Sika and guarantee the success of all of its business relationships. Institute of Catalysis and Surface Chemistry, Polish Academy of Sciences was established in 1968 as the only independent scientific institution in Poland, and one of the only eight in the world, devoted entirely to the research and catalysis and chemistry of interfaces. Among scientific staff of the institute there are 15 professors and associate professors (docent) specialising in various aspects of catalysis, surface chemistry and colloid science. The activities of the institute cover the interdisciplinary field of the physical chemistry of phenomena occuring at solid/gas, liquid/gas and solid/liquid interfaces. Steinbeis Advanced Risk Technologies GmbH (R-Tech) is the member of the Steinbeis Group, established in 1971. The Steinbeis Group with its 700+ Transfer Centers in 50+ countries offer global services in technology and knowledge transfer. The main competence of the R-Tech is in the area of assessment, analysis and management of business and technical risks. R-Tech is currently active in the area risks related to industrial safety and technology related risks. Organizing European and national stakeholders, promoting and supporting technology transfer, introducing new approaches to the risks and their management, development of specific methods and tools are examples of these activities. Instituto Superior Técnico is the largest school of engineering in Portugal, with long tradition in teaching, and excellence in research and training activities. Its mission is to contribute for the development of science, economy and society by promoting a higher degree of education in the areas of Science, Engineering and Technology at the undergraduate and graduate levels and by delivering highly qualified professionals in the public and private sector, including in the National and European R&D effort. Centro Ricerche FIAT is an industrial organisation which has the mission of promoting, developing and transferring innovation in order to provide competitveness to its clients and partners which include the different companies in the FIAT Group, automotive suppliers, companies from other sectors of industry, SMEs, and national and international research agencies. CRF attains this objective by focussing on the development of innovative products, the implementation of new processes (manufacturing and organisational), the development of advanced methodologies, consultancy and the training of human resources. Re-Turn AS is a small R&D- and consultancy company doing own developments and consultancy work. Several long term development projects together with dedicated partners are at present running. Through large networks in special fields of the polymer environment accross the world, built up during the last 30-40 years by 3 of the employees in Re-Turn AS, there is access to a lot of special know how and competence. Re-Turn has today 5 employees of which 3 are very experienced engineers of around 60 years with all together 115 years technical service, sales and R&D involving different polymers and processing of these. Varnish s.r.l. located in Galliate Italy is a painting industrial group with more than 30 years experience. The company has experience in painting different plastic materials mainly for the automotive industry. During the last years Varnish developed automatic painting applications and integration of robot in automatic spray systems becoming strategic partner of ABB robots. Several long term development projects together with dedicated partners are at present running. 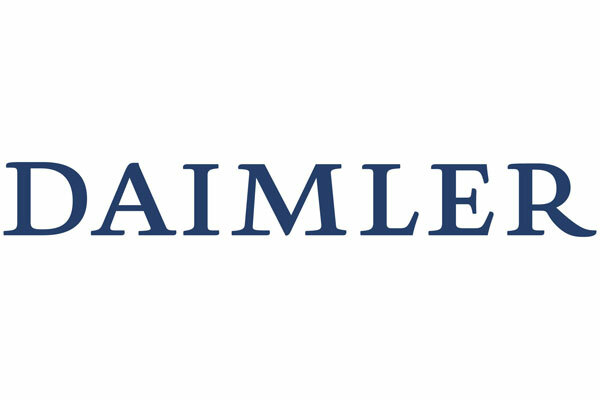 The car manufacturer DaimlerChrysler/Mercedes car group has a lot of experience in the transfer of innovations to the market. Especially the center "Materials and Process Technology" (MPT) is engaged in the development of new technologies, processes and materials. The department "Coating Technology and Corrosion Protection" in the MPT realizes new processes and materials for paint and corrosion protection in the production plants. Chemetall is a global company committed to specialty chemistry. The group activitie focus on products and processes for the chemical treatment of metal surfaces and plastics, as well as selected fields of fine chemistr, e.g. lithium and cesium compounds. Chemetall GmbH is headquartered - including the central research and development labratories - in Frankfurt am Main. It is a centre of a worldwide network of 40 subsidiaries with more than 30 manufacturing sites worldwide. Labratory of polymer Chemistry is one of the seven labratories of the Department of Chemistry, University of Helsinki. The group consists of two professors, two lecturers, three post doctoral associates and 15 PHD students. The research concentrates on the synthesis of various amphiphilic, polyelectrolite, and thermoresponsive polymers by new controlled radical polymerization reactions (ATRP,RAFT), as well as on the studies of their solution properties and self-assembling. The instrumentation of the labratory is of good standard, including NMR spectrometers, light scattering, scanning calorimeters for solids and for liquid samples, SEC chromatographs, FESEM, AFM, and more. 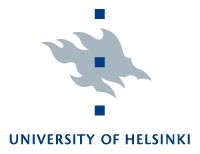 The labratory is a part of a consortium "Functional Materials", recently nominated as one of the centres of excellence of the academy of Finland in 2008-13. KMM Virtual Institute is a non-profit research association legally registered in Belgium as an AISBL (Association Internationale Sans But Lucratif). The mission is to promote European research and development in the area of knowledge based multifunctional materials (KMM), to become an interface at the European level between the community of KMM-VIN partners and all other parties having interest in KMM, and to promote mutual acceptance of KMM by, inter alia, building of confidence, development of quality assurance and traceability, and the implementation of the relevant standards.